C'est une grande réunion de famille! Apprends le français avec ton iPhone! Here's some good news for iPhone users! Now you can download a free iPhone app from BYKI that will allow you to study our Cajun French lists on your phone. To get started, download a BYKI language app. The one for Haitian Creole is free (a wonderful service that BYKI offers to assist those who want to pick up Haitian Creole before they go over to help with earthquake relief efforts). The 15 language "sampler" is also a free download. If you prefer, you can choose to download any of a number of other individual language apps for $7.99. It doesn't matter which of these you choose. The important thing is to get a version of the app on your iPhone. 1) If you haven't already done so, create an account and then sign in on the BYKI List Central Community website. 2) To quickly access all of our Cajun French lists, type amandalafleur in the "Search" box. This will pull up all the lists we have created for Cajun French learners, including some specialized lists that go with lessons taught at LSU. 3) Next, click on the list that you want; scroll down and click where it says "add the list to my favorites." 4) Open the BYKI app on your iPhone, go to "Downloads", and select "List Central." It will contain each list that you added to your favorites. 5) Click the blue icon beside each list to download it, and it will be saved along with all of the other lists that you have, which you go to by clicking "Learn." (Note: The picture shown with this article is a generic clip from the Internet so that you can see what the interface looks like. It is not from a Louisiana French BYKI list. In Louisiana, ice cream is called la crème glacée. La glace is ice. After more than ten years of field work, discussion, negotiation, editing and re-editing, the Dictionary of Louisiana French is now a reality. Many of you are familiar with Fr. Jules Daigle's Dictionary of Cajun French published in 1984. The new dictionary, the result of a collaborative effort of a team of nine editors and hundreds of native speakers, builds on Daigle's work, as well as regional collections undertaken since the 1930's by various scholars and students. It is also based on words and phrases we were able to extract from a large corpus of transcribed interviews and other texts. Further, it has the distinction of offering the user contextual examples for almost every article in the dictionary, giving the reader an opportunity to experience words in their natural environment. Sticklers for detail and dialectal variety can use the region codes furnished to find out where words were collected. This does not mean, of course, that the words are limited to that region, but rather that these are the locations where the word has been attested. As its subtitle indicates, the dictionary represents the French of Louisiana "as spoken in Cajun, Creole and American Indian communities." Many hours of heated debate went into the selection of that title. 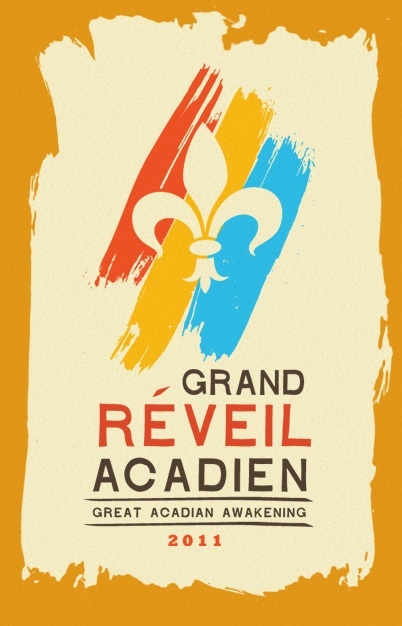 While the most common moniker for our language variety is "Cajun French," the French language has long been spoken in Louisiana by people who do not necessarily consider themselves Cajun in the strictest sense of the term, that is "of Acadian origin." Many will argue that the term "Cajun" is much more inclusive in its meaning these days, and that is no doubt true, especially given the popularity in recent years of all things Cajun. Still, there are those who with no malice intended toward Cajuns prefer to refer to themselves using other ethnic labels. Interestingly, it is a testament to the successful fight for ethnic pride among Cajuns that a whole generation of young people has grown up with no memory that the term "Cajun" was ever derogatory. And it is these young people, wanting to be inclusive in their enthusiasm for heritage language preservation in Louisiana, who have most adamantly campaigned for a more accurate name for our language variety. We have no problem acknowledging the multitude of ingredients in the rich gumbo that is the French of Louisiana. Call yourself what you will. Just don't call us late pour le souper. Any author can attest to the twinge of disappointment that comes when, upon opening one's published work, you discover that first typo, error or omission. And I had not turned more than four pages when I noticed a common Cajun word missing and another whose gender was indicated incorrectly. That slight dismay is mitigated, though, by the echos that we are already getting from people who are browsing the dictionary, finding words that remind them of other words, noticing that a word presented in the dictionary varies slightly in pronunciation from the word they grew up with, or remembering yet another meaning for a word they had forgotten. I have the sense that the Dictionary of Louisiana French will prime the pump of our collective memory and help reveal many, many more words and meanings that might otherwise have remained forgotten. Here's to the second edition! The Dictionary of Louisiana French is available through University Press of Mississippi.